It is my strong believe that genetic problems in dogs can only be solved by sharing information. Information enables breeders to make smart decisions and better risk calculations. I fully support the ongoing research searching for the responsible DNA and encourage everybody to donate to this research in any form. A DNA-test would ofcourse be a huge step forward. However, this takes time and I don't believe such a test will be available soon. Until then and maybe also after tests have been developed, we need to share information to reduce the risk for stomach cancer. Following the good example of the International Epilepsy register for Belgian Shepherds I found it time to start a similar website for stomach cancer. Why me? I don't know. I am breeder of Groenendaels, I have had problems with epilepsy in my dogs, I lost one of my dogs on stomach cancer. It opened my eyes to the genetic problems we face in our lovely breed and the lack of easily and openly accessible information to make the right decisions in breeding plans. I heard around me that the epilepsy register was well used and I felt there should be a similar list for stomach cancer as well. 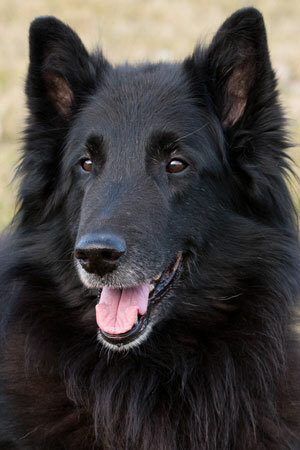 Stomach cancer typically shows up at later age, when one or more litters have been bred with these dogs. So breeders often are not to blame. No breeder will breed with genetic lines affected with stomach cancer on purpose. Pointing out fingers to others will not solve the problem, but will cause people to be afraid of sharing information and therefore will harm the breed. On special request I added space to list dogs with other type of cancers as well. For each variety there is now a list for stomach cancer and a list for other cancers. The information about dogs with stomach cancer and other cancers on this website is provided by owners or breeders. I will try to verify as much as possible, but can't guarantee the accuracy of the information. If you feel there are clear mistakes in the list, please contact me with detailed information. I hope this website fulfills a need and really serves the aim of reducing the number of Belgians affected with stomach cancer or other cancers! Netherlands This website is dedicated to my beloved Sicco, who died of stomach cancer and is still dearly missed by me. His blood has been donated to the stomach cancer research and will hopefully help finding the responsible gene. The information about dogs with stomach cancer or other cancers on this website is provided by owners or breeders on a voluntary basis. The author of this website can not be held responsible for the accuracy of the information. No rights can be derived from the information on this website.